When charged with drunk driving in Ohio, it's crucial to secure an experienced defense attorney early in the process in order to protect your rights as soon as possible. Call Dominic Mango, a passionate criminal defense attorney in Franklin County OH area with years of experience handling DUI/OVI cases throughout Ohio. An experienced criminal defense attorney who specializes in drunk driving cases can mean the difference between significant jail time or probation, or between a clean record and a damaged one. An experienced attorney is necessary when dealing with mandatory sentencing and licensing restrictions. The right DUI lawyer can protect your freedom, mitigate the collateral effects of conviction, and save your reputation and future. You need aggressive and dependable legal defense to keep your record clean -- attorney Dominic Mango's experience in defending challenging OVI cases is second to none. Extra jail time and additional penalties are in place for defendants who were arrested with over 0.17% BAC. Many Ohio residents who face DUI/OVI charges are surprised to learn that a mandatory license suspension is regularly imposed by the BMV at the time of arrest. Dominic Mango knows how to protect your liberty, license, freedom and record. Drunk or impaired driving has many names, and a conviction impacts not only your driver's license, but it can affect the cost of your insurance and your future. Experience means lesser sentences. If your license is suspended, Mango Law can help you get it back faster. From the time of your arrest, your license is likely to be restricted or suspended. In Ohio, the law states that you will face an administrative license suspension from the BMV. The length is 1 year for refusal to test, and 90 days for testing with a minimum BAC of 0.08%. Clients of Mango Law often get their licenses back after an ALS following their first court appearance. Dominic has been a presenter at OVI seminars, detailing the issue of appealing and challenging an ALS, so you can have the peace of mind of knowing Dominic Mango will ensure you have the best defense available. He and his team are prepared to look at all evidence including; breath tests, field sobriety tests, and other items related to your case to strategize the best approach for your defense. From the moment that you get in touch, we will begin reviewing the facts of your case to seek out any weakness in the prosecution's case. This includes, but is not limited to, the admissibility of the breath test itself, the administration of the test, or any maintenance and records of the machine involved. If there is any doubt regarding your conviction, we will aggressively attack it. I blew 0.17% or higher. How does this affect my case? What if this isn't my first DUI/OVI? 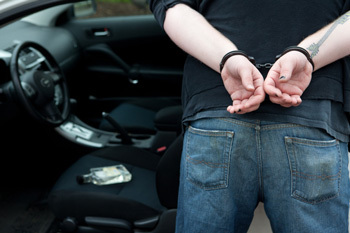 What happens when you refuse a breath test during a DUI/OVI stop in Ohio? What are the most common field sobriety tests in Ohio? I was arrested for a drug/prescription drug-related driving offense. How is this different than a drunk driving offense? It is critical that you call Dominic Mango FAST! Dominic will be your partner, he is familiar with the nuances and specific rules of the ALS, and he knows how and when to stage a challenge. Contact Mango Law today for a free case evaluation by either calling us directly or filling out the contact form on this page.